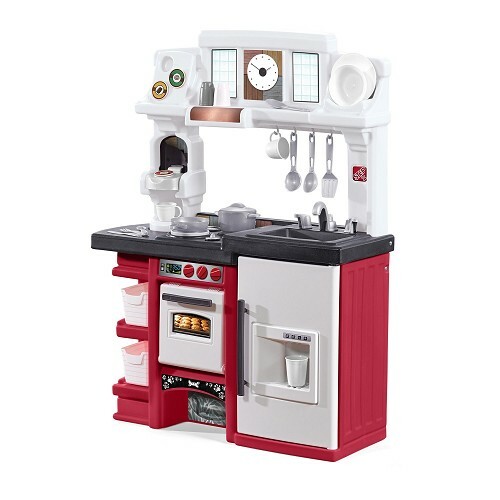 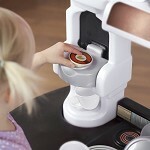 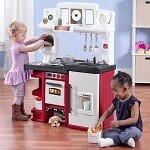 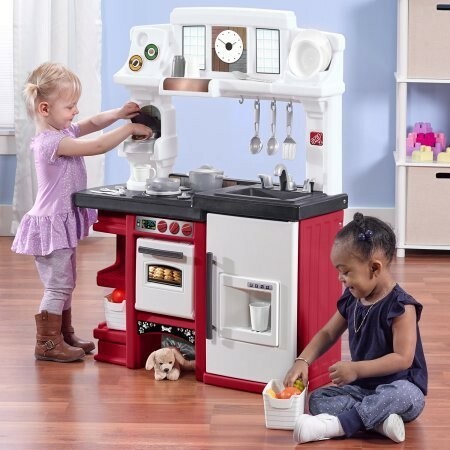 Mini baristas get ready for a fun time with this coffee themed play kitchen! 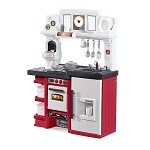 It has an electronic stove top with fun lights and sounds, instant coffee station and coffee pods. 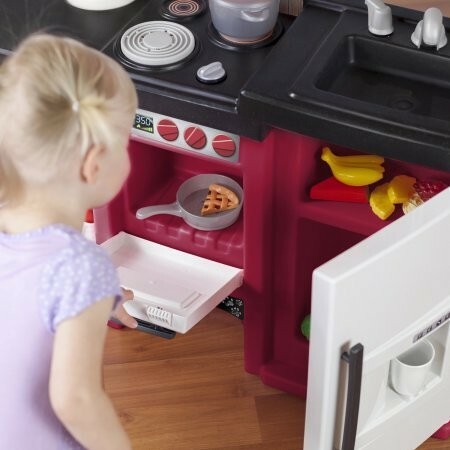 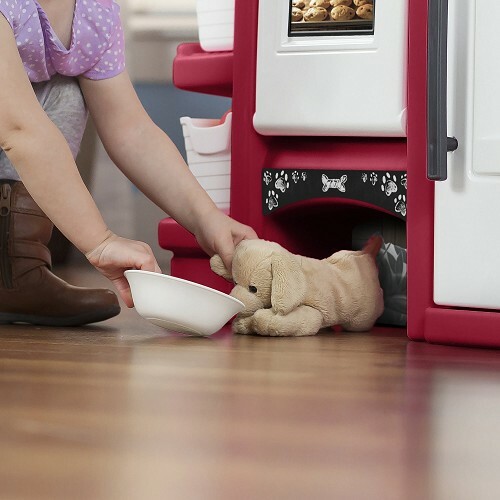 The jumbo refrigerator and oven double as storage and space when playtime fun is over. In addition, it has a molded in plate rack, two storage bins and the bottom of the kitchen has pretend pet hideaway fun!